When the Dolphin HD browser developed for the Google Android Market appeared on the BlackBerry App World portal most users probably assumed that the developer had agreed to the submission, however it turns out that 3rd party app development team MoboTap had no idea their application had been placed. That’s because a third party application website decided to submit the application on the company’s behalf, without its permission. Submitted by multi-platform app store Handster the reason for the submission has not been made clear however it’s a free program that doesn’t earn direct revenue from each download. Upon quick examination of Handster submitted applications it turns out that the company has submitted thousands of apps to the BlackBerry App world and some of those submissions are not free to download mobile apps. Perhaps the worst part is the fact that “Handster, Inc.” is named as the apps “Publisher” and while that may be different then “Developer” we can see such action leading to lawsuits from developers who may not have planned to release their apps to the Blackberry App World or who may be working on more stable versions of those programs for the platform. In the meantime it’s likely some developers are receiving support requests from BlackBerry users which could quickly turn into an ugly situation for developers who are not yet or don’t plan to support BlackBerry users. 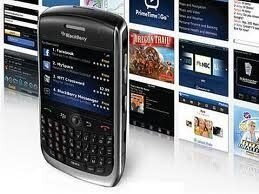 Do you think Handster erred in submitting Android Apps to the BlackBerry App World without developer permission?